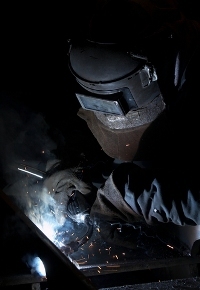 Employers nationwide are required to follow specific guidelines to ensure worker safety. In addition to providing employees with proper protective gear, proper equipment and training, employers must also implement safety policies and keep the premises safe. According to a recent report, the U.S. Department of Labor’s Occupational Safety and Health Administration (OSHA) has cited construction company, Twin Pines Construction Inc. for several violations in plants throughout Massachusetts. As the agency charged with maintaining safe workplaces nationwide, OSHA has broad authority to set safety standards and fine those companies that are in violation of regulations. The Everett, Massachusetts based company has been fined a total of $290,700 after an OSHA inspector visited the premises. The inspection and violations sheds light on the dangerous working conditions faced by employees throughout the state. Our Boston workers’ compensation attorneys are experienced in the investigation of workplace accidents. We employ our skill and extensive background in this area of law to best protect the rights of injured workers and their families. Remember that an independent investigation can support an OSHA finding of negligence whether you are pursuing workers’ compensation or a third-party claim. OSHA has varying degrees of offense, the highest of which is a “willful violation.” A willful violation is said to occur when the employer commits the violation intentionally, knowingly, or voluntarily disregarding the law’s requirements. In this case, the employer ultimately showed indifference to employee safety and health. The company had 4 repeat citations for similar violations in 2009. Repeat violations occur when a company has been cited for a similar violation, but fails to rectify conditions within a specific period of time. A spokesperson for OSHA has indicated that the large penalties reflect the egregious nature of the recurring violations. The employer had knowledge of these violations and refused to take action to correct the dangerous conditions. OSHA personnel found the offenses particularly grave, since the risk of falls creates one of the greatest hazards for workers. Injuries or fatalities caused by falls are often preventable if employee are given equipment, provided safeguards and trained properly. OSHA issued additional citations failure to provide eye protection for those employees using nail guns. The premises also had ungrounded electrical cords and broken or non-existent handrails which creates an additional risk of electric shock or fall. Twin Pines was also cited for improper bracing of wood and metal trusses, missing fire extinguishers and issues involving a lack of protection against falling objects. Massachusetts was recently awarded for an initiative to stop workplace falls. The campaign was intended to provide information to employers and employees, provide training seminars and raise public awareness about the dangers of falls. In addition to disseminating information, OSHA will continue to inspect and fine companies that are in violation of OSHA standards. Twin Pines Construction Inc. has 15 business days to either comply or contest the allegations and penalties.